When heading to Eric’s shop to take some video of his latest work, I found out he was rushed to the hospital in Bishop, CA because of an eye infection. Luckily, he was able to get released the next day so I drove him to Lone Pine to get his car. That is when we stopped to visit Stephen McGreevy. We finally made it over to his lab and the next day, we spent over 8 hours non-stop seting up and taking video of various segments of what turned out to be a 4 hour presentation on his musical seismograph. 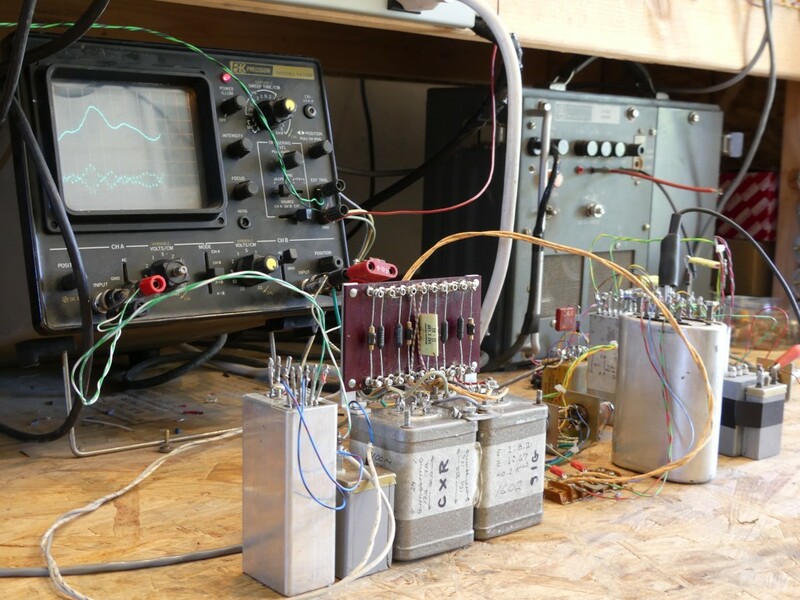 It uses a Tesla Converter to electrically (not electronically) amplify the low output of a seismic transdeucer (Earthquake detector) to an audible musical tone – tuned to the Pythagorean musical scale of course. The mechanical vibrations are one aspect of the Advanced Seismic Warning System, solar flux is another and the antenna structure that receives the telluric signals from above the Earth and from deep inside the Earth. When graphing these all out, it can predict Earthquakes 24-72 hours ahead of time. In this recent presentation, for the first time, we go into the mine and show the Tesla Converter creating an audible tone from the output of the seismic transducer. There are actually a lot of aspects to this video including the revealing of an amplifier design that has never been seen before that can also be used as a musical stereo amplifier that just may give the highest quality output ever achieved. This is all revealed in this presentation. Due to Eric’s health, we have decided that we are going to play this presentation at the conference instead of having Eric on stage for the whole time. He’ll introduce what everyone will see in the video and will answer questions at the end. After the conference, this will be available as a paid digital download. To learn more about the Advanced Seismic Warning System, take a look around this site. Search for Landers and check out his other related presentations. Please consider donating to EPD Laboratories, Inc. – 501(c)3 Non Profit Corporation. Donation details are in the right column.